Apple's iWatch may include optical sensors designed to measure physical functions like heart rate and oxygen levels, according to electronics analyst Sun Chang Xu of Chinese site Electrical Engineering Times [Google Translation], who cites supply chain sources with knowledge of the matter. Xu also indicated that while Apple had planned on glucose monitoring, non-invasive methods have proven to be highly inaccurate and thus may not be included in the final product. Measuring oxygen levels and heart rate are two features the iWatch has been previously rumored to include and optical sensors, which are used in many medical and health-related products, are a logical choice for the smart watch. Pulse oximetry devices, which are often designed to fit over a finger, use optical sensors to measure oxygen levels in the blood. These sensors are light-based, sending two wavelengths of light through the skin. Differences in the way the light is absorbed allows the device to detect oxygen saturation in the blood. The majority of pulse oximeters clip to a fingertip or an earlobe, suggesting a wrist-based pulse oximeter is difficult, but not impossible, to develop. 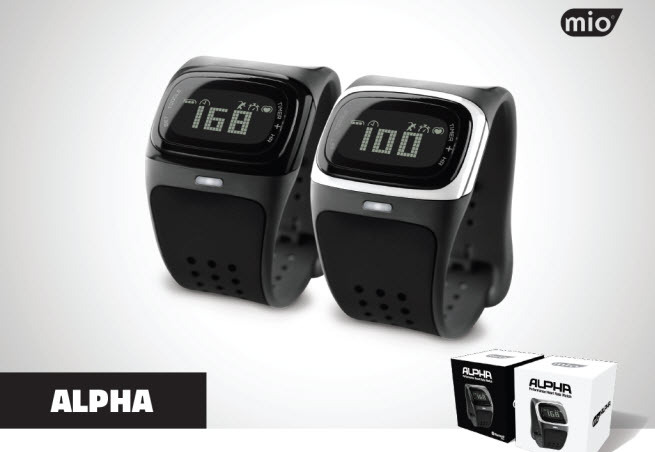 Monitoring heart rate via optical sensor is a newer technology that is incorporated into several fitness products including the Mio Alpha heart rate watch. Typical heart rate monitoring in the past has required a chest strap, but with an optical sensor, a light shone on the skin can be used to measure blood flow through capillaries, thus determining heart rate. MacRumors spoke to Mio founder and CEO Liz Dickinson about the possibility of an optical heart rate measurement tool in the iWatch, and she believes the company would absolutely opt for electro-optical sensing for such a function. She also suggested an iWatch with heart-rate measuring capabilities would need to fit tightly to the wrist. Having said that, using electro optical sensing requires a very specific type of design in order to work accurately. 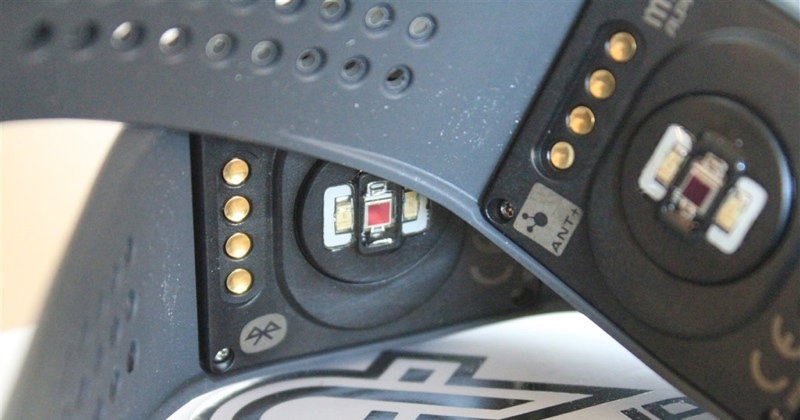 The sensor needs to be in tight contact with the skin with little ability to move. Perhaps Apple does not care about accuracy during motion but in any event, at the time readings were being taken even if the person is still, the watch, or band, would need to be flush to the skin. Electro-optical sensing also requires careful calibration to overcome interference from motion and noise. The Mio Alpha incorporates a built-in accelerometer and noise filtration software to garner accurate readings, and it is possible Apple might adopt some of the same technology. Over the course of the last several months, Apple has hired a number of health experts in fields related to both heart rate monitoring and pulse oximetry. Two executives from pulse-oximetry company Masimo joined Apple, including its former Chief Medical Officer. Several of Apple's health-related hires have also been from C8 MediSensors, a company focused on non-invasive blood monitoring sensors. While it is unclear exactly which health-related functions the final iWatch product might measure, rumors have indicated it will include multiple sensors capable of not only measuring heart rate and oxygen level, but also movement, sleep, hydration levels, and more. Analyst believes iWatch may include method of accurately determining time of day. Am I the only one NOT looking forward to everyone walking around wearing the exact SAME watch ? If this is true, it'll be a huge hit with coma patients! do you own a windows phone? because no one uses that. Basically this! That's one thing I love about watches, how unique they are. There are soooo many things wrong with your comment. Apple's watch will dance circles around the competition, will be completely different internally and externally and will do 10x as many things, but I can absolutely guarantee their fanboys will bleat on about Apple copying them. And then they'll continue to chant the same story when the competition's 2nd gen offerings all follow Apple's lead.